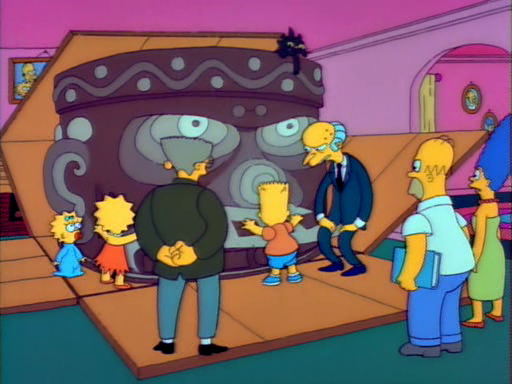 This week we’ve got two links to serious artists making Simpsons heads. One is Bart made from old toys and is appropriately creepy, and the other is a series of awesome Krusty drawings that I’m not even going to try to describe. In addition to that, we’ve got an excellent Ralph t-shirt, Olympic and international cricket usage, a completed Lisa cross stitch, a great first family portrait, several people who agree with us, Lego YouTube, and lots more. Animating the Show – Smooth Charlie’s Link of the Week is this detailed breakdown of animating for TV. I learned stuff today. UTBNYC Announces The Next Piece In Pez’s “Distroy” Series: “Skrutchy” – A few months ago we had a link to a project by an artist called Pez doing wonderfully elaborate renderings of characters like Homer and Mickey Mouse. Well, the Homer ones are done and they’ve moved on to create some awesomely creepy Krustys. Damn cool and well worth the click. 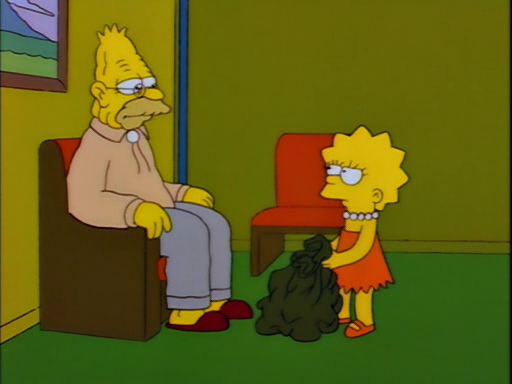 Baby Names I Want to Use From The Simpsons – I’d vote for Hortence or Langdon. For me it all ended years ago, I live in a world where they took the Seinfeld route and quit while they were ahead. I look back with only the fondest memories to the earlier seasons. The newer seasons I refuse to acknowledge. 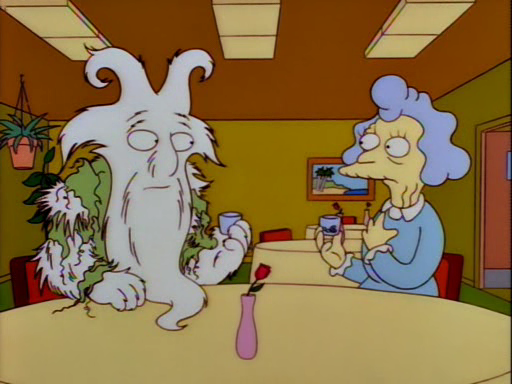 It makes the top of many people’s lists, but most don’t think to exclude Zombie Simpsons right in the title. Bravo. My dearest friend in the whole wide world had a birthday recently. And, as she invited all of us to celebrate, we all canceled… I told her I had a conference to go to. Then we surprised her with a party anyways! As known die-hard Simpsons fans, naturally the cake was dedicated to “A Whale of a Wife.” We added “and a Super Friend” because, well, we aren’t all married to her. My index finger has become strapping from these past two years of tapping. The U.S. team had predicted they were capable of winning eight medals prior to the Games but after Saturday’s failings meant all 17 members of the team ended empty handed, Davis offered a blunt assessment. “If I could do a parody from a Simpson’s character, I would pick Comic Book Guy and he would say in these exact words: “WORST OLYMPICS EVER,” Davis told reporters of the long-running U.S. television show about an animated dysfunctional family. La famille Simpsons – This is a new Simpsons site based in Quebec that’s cataloging people, places and news from the show. Those of you who speak or read French better than I will probably get more out of it, but it’s neat nevertheless. Need – Oh, dear Jebus, yes! That may be the best Ralph t-shirt design I’ve ever seen. feeling safer now – Neighborhood watch, indeed. Lisa Cross Stitch Complete! – Just what it says. Love the eyeroll. Cartwright, a 1976 graduate of Dayton’s Fairmont West High School, will narrate Norton Juster’s classic ”The Dot and the Line: A Romance in Lower Mathematics” while conductor Neal Gittleman leads the orchestra playing Robert Xavier Rodriguez’s composition. Cartwright also promises to conduct “a very special piece of music.” (My guess is that fans of “The Simpsons” hear this musical selection at the start of every show.) Aye carumba! Top 5 Feminist Icons in Television – Lisa comes in at a healthy #2. For now, I’ll keep saving up money to build Rainier Wolfcastle’s mansion. Up and at them! That thing was damned expensive. 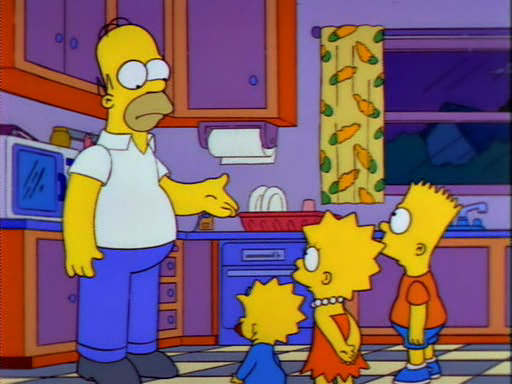 Once the viewer acclimates to his skin tone, she will soon realize that Homer’s design is intentionally unremarkable; he is meant to represent the average middle-aged white collar middle class (as evidenced by his white-collared shirt). But he’s just an ordinary blue collar slob! Unable to find his permission slip to join the rest of Springfield Elementary on their afternoon trip to the chocolate factory, Bart Simpson is consigned to the numbing task of licking envelopes in the office of Principal Skinner. As he does so, the wall clock ticks slowly and tortuously towards 3pm and the end of the school day. Losing momentum with every stroke, it eventually begins to tick backwards. Something of Bart’s interminable wait ensnared Australia on the second day in Port Elizabeth, as they were frustrated and ultimately brought to heel by a South African side well attuned to playing Test matches at the kind of deliberate pace unfamiliar to, and unloved by, the touring captain Michael Clarke and coach Darren Lehmann. Some boots were not made for walking. – The sad tale of a college student who got her car booted. 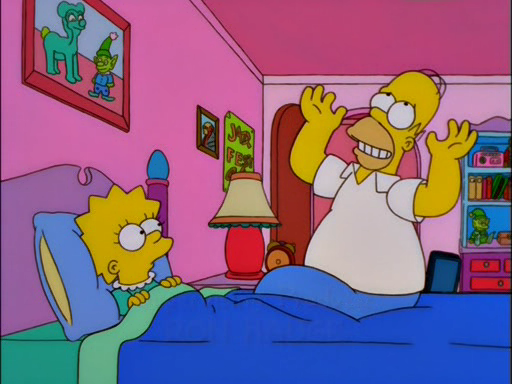 Smartly, she did not resort to any of Homer’s un-booting methods, but she did include a .gif of them at the link. Simpsons – Nothing but cats (gif) – Exactly what it says. Homer Loading Bar – Another excellent .gif. If you are looking for a good way to have a chill pill watching a few episodes of The Simpsons is where it’s at. They ward off bad spirits. 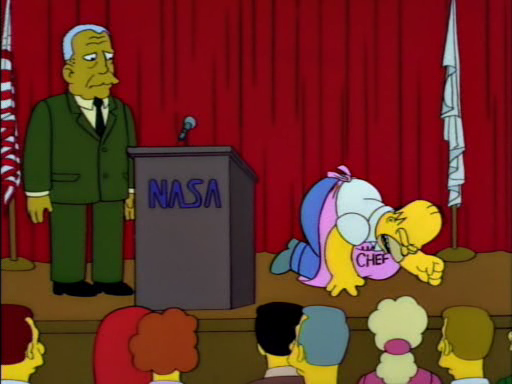 The politics of Homer Simpson – Heh. 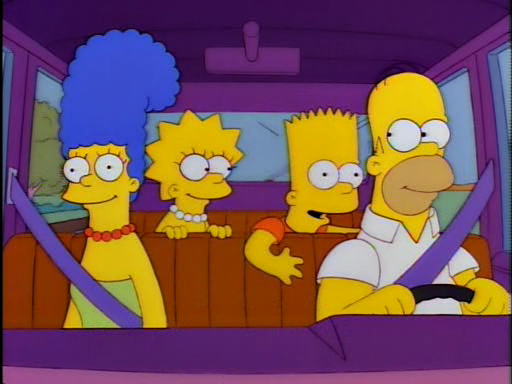 Random Simpsons Screencap of the Day 2/21/14 – Heh again. Our first family portrait… – Expectant Mother gets her new family Simpsonized for $5. The Simpsons x Medicom Toy Bart & Homer Simpson Bearbricks – Conquering Lego wasn’t enough. Of course, there’s one thing we have to blame for all this. The veritable army of guest stars is a sign of the end, because the main problem with the show is that the writers can’t make an original episode with a well-written plot anymore without it already having been done before. In this situation, it’s become a lot easier to just slap in more than a few shameless guest appearance.